For many drivers in the San Antonio and New Braunfels areas, luxury is synonymous with customizability. Although each of the 2019 INFINITI QX60 configurations offers a compelling mix of standard and available features, genuine INFINITI accessories can help the model you choose to stand out everywhere you go. Drivers who opt to equip their vehicle with their favorite INFINITI QX60 accessories will be able to enjoy a more convenient drive, keep their cabin more organized, and stay prepared for any situation. 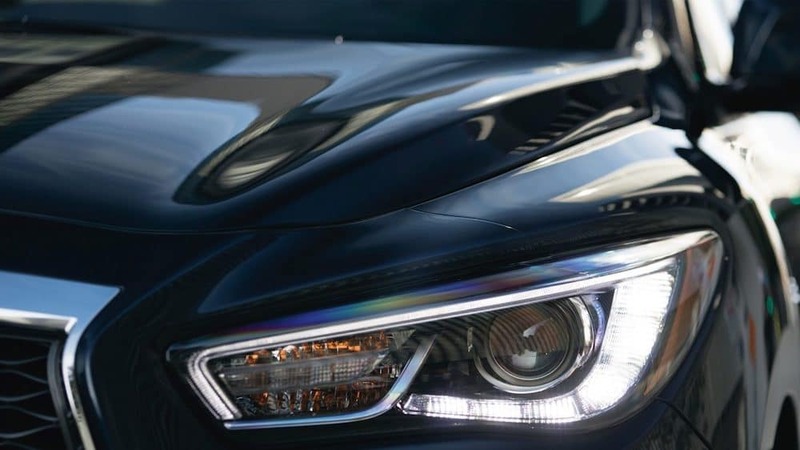 The INFINITI QX60 exterior accessories can elevate this luxury SUV to be even more visually striking. Many components will also help to protect your investment from the elements, and with Roof Rail Crossbars and towing accessories available on all models, it’s easy to expand your cargo and towing capacities. Many of the most exciting INFINITI QX60 features are made available through its one or more of its seven optional packages. Take a closer look at each to make sure that your luxury SUV includes all of the amenities and technologies that you desire. Essential Package – Includes Leather-Appointed Seating, INFINITI InTouch™ Navigation, INFINITI InTouch™ Services, an Around View® Monitor, a Front and Rear Sonar System, and more. Theater Package – Includes Dual 8-inch color monitors, two sets of wireless headphones, Wireless remote control, an HDMI port, and more. Requires Essential package. ProASSIST Package – Includes Intelligent Cruise Control (ICC), Backup Collision Intervention (BCI), Blind Spot Intervention® (BSI®), Active Trace Control, and more. Requires Essential package. Sensory Package – Includes Bose® Cabin Surround® 15-speaker sound system, Second- and third-row moonroof, Advanced Climate Control System (ACCS), Motion Activated Liftgate, and more. Requires Essential and ProACTIVE packages. Not compatible with ProASSIST package. ProACTIVE Package – Identical to ProASSIST package, with the addition of Front-seat Pre-Crash Seat Belts. Unlike ProASSIST, ProACTIVE can be combined with Sensory package. Requires Essential package. 20-Inch Tire and Wheel Package – 20-inch, 15-spoke aluminum-alloy wheels with 235/55R20 all-season tires. Requires Essential package. Limited Package – Includes Dark chrome exterior trim, 20-inch, split 20-spoke dark-finish aluminum-alloy wheels, Stone-colored semi-aniline leather-appointed seating, Piano black meter cluster finisher, Unique contrast stitching on interior parts, LIMITED” emblem, and more. Requires Sensory package, ProACTIVE package, and Theater package. Cannot be combined with ProASSIST Package. 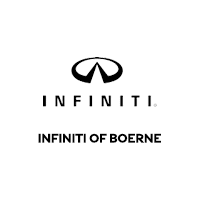 When you reach out to the INFINITI of Boerne accessories department, you’ll be able to explore genuine INFINITI parts and accessories with experts who know these vehicles inside and out. Contact us today to ask questions or schedule a test drive in a new INFINITI QX60.